Dare to wear this amazing Naga dragon from John Hardy's Naga collection. Intricately hand made out of sterling silver, this necklace features a dragon's head at one end of the dragon mail chain while his fiery tail rests at the other end. They loop around and meet at a sterling silver ring with darkened detail that has been generously adorned with 18kt yellow gold dots. 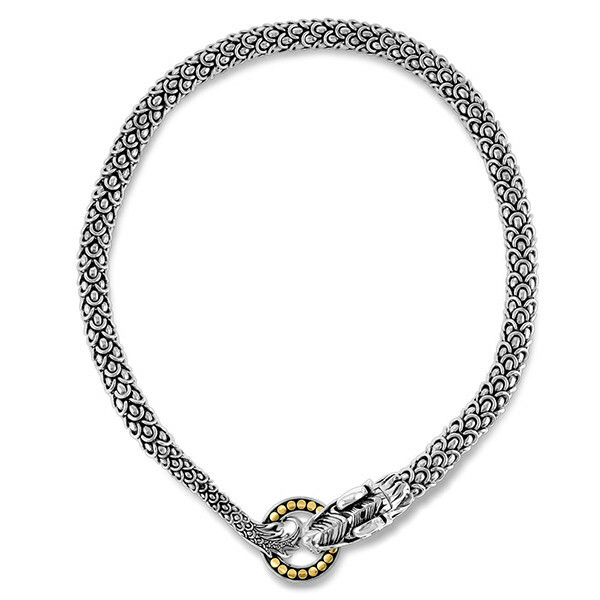 This 20" John Hardy necklace will add the perfect amount of allure and glamour to any outfit.